Frankfurt zu Fuß und per Smartphone. Bequeme Schuhe an und rein ins Stadtgetümmel! Not the right one? There are more! 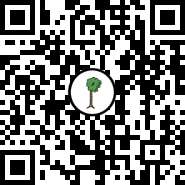 Scan this qr code to start this adventure on your mobile phone. This adventure was played 148 times. 16 players can be in one game. Visible on Geolua.com, Stadtrallye.com - Frankfurt.